You must make reservations at least 5 minutes in advance of the time at The Ranch Restaurant. THE RANCH Saloon entertainment located next door to THE RANCH Restaurant, features the best in live country music on a 40' concert stage with a state of the art Meyer sound system and a custom made 47' x 26' sunken dance floor in a small club venue with an intimate atmosphere. Check out our saloon calendar for prime country music entertainers to be in concert on select dates with the best in local country music bands on select nights of the week. Our DJ provides the best in classic and current country music for dancing nightly. Our nightly dance lessons give our guests the chance to learn the basic two-step and of course line dancing from top country dance instructors! Located in the heart of Anaheim, THE RANCH comprises three venues under one roof: Restaurant, Saloon and Events Center. 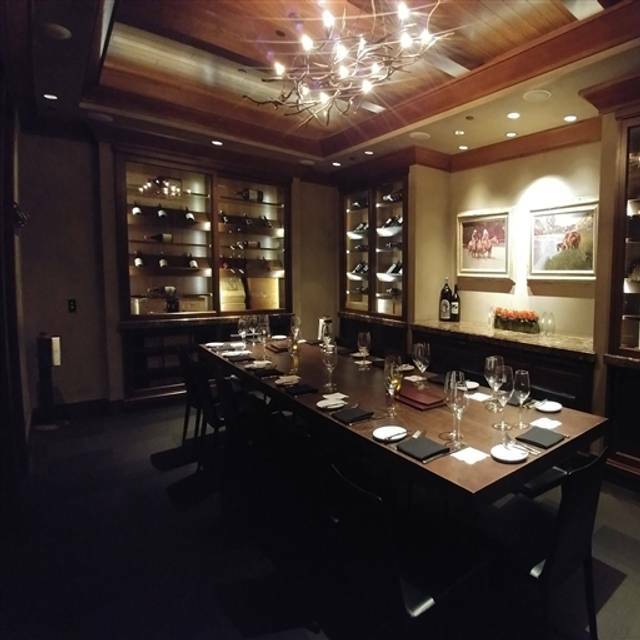 THE RANCH Restaurant is an award-winning dining destination in the heart of Anaheim. Drawing a rich source of inspiration from our very own local organic heirloom Farm, Executive Chef Michael Rossi creates menus that journey between classic dishes and elevated interpretations of global fare. After dinner, join us in THE RANCH Saloon for a night of country dancing with live music every Friday & Saturday. Doors open at 5:30pm. Please note, waiving of cover charge for restaurant guests does not apply on concert nights or special events. Enjoy an elegant Mother's Day Brunch on Sunday, May 12 from 10:00am-2:00pm. Our four-course prix-fixe plated brunch is exceptionally delightful as it showcases items not typically offered on our nightly dinner menu. $85 per person includes complimentary bubbles (sweet, dry or mimosa)! Celebrate Dad with a dinner you know he'll love at THE RANCH Restaurant & Saloon! Enjoy Chef specials created just for Father's Day Weekend by brother Chefs Michael Rossi and Dave Rossi. THE RANCH Restaurant’s regular menu will also be available from 5:00pm – 10:00pm. Celebrate Easter weekend with dinner at THE RANCH Restaurant & Saloon. Enjoy Spring-inspired Chef specials created by Executive Chef Michael Rossi and Pastry Chef Dave Rossi. THE RANCH Restaurant’s regular menu will also be available from 4:00pm – 9:00pm. 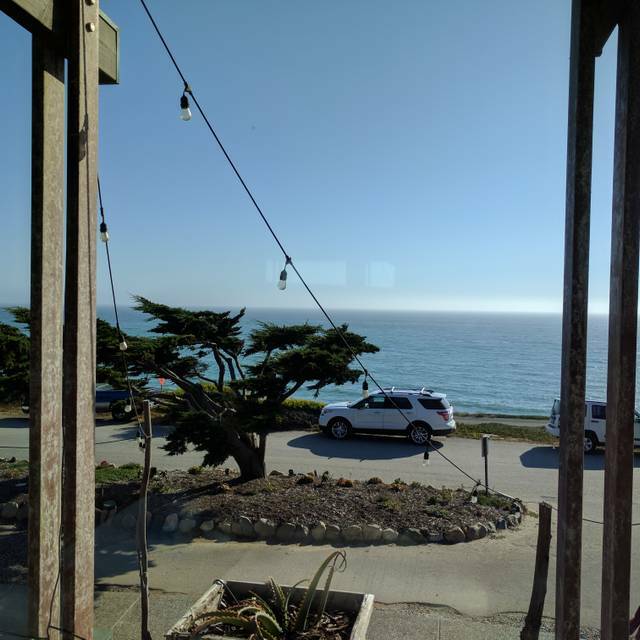 We've dined here numerous times and have enjoyed our experiences but this night we were seated in the dining room overlooking the kitchen and it was very loud. Several large parties that were exceptionally noisy and constantly moving around. This was a distraction, to say the least, and a bit off-putting especially for our friends who were dining here for their first time. Our server and her team were stellar. The service and her knowledge of the menu was quite impressive. Our dinner, for the most part, was excellent. The Caesar salad was amazingly good, as were the beet salad, escargots and French onion soup. All were exceptional beginning choices. The pork chops were perfection and the lamb was cooked superbly. The sides and presentation were wonderful. The duck however, was very disappointing. The presentation was beautiful but the meat was tough, dry and very, very chewy. In fact we all tried it and came to the same conclusion. It tasted but wasn't eaten. 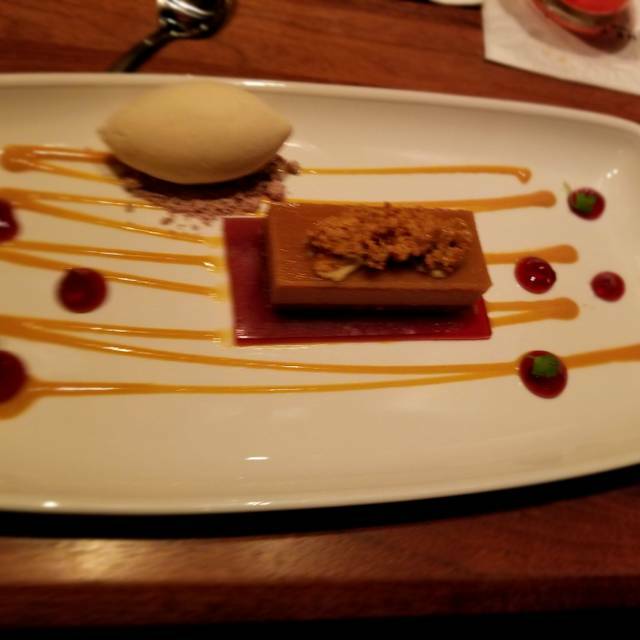 Dessert was fabulous and our overall experience was very good. I guess we've just come to expect a little more. This was my second visit to The Ranch Restaurant. Both times it has been beyond my expectations. Food and staff are impeccable. Our server Nicole made the evening even better!! The Ranch is a splurge for sure. But when a dining experience is so well executed as it was for us, it is actually a good value. We were so impressed and well cared for we could not have been more pleased. The staff is excellent. While one can hire great people, the management here must be stellar too. This level of perfection does not happen by mistake it is by design. Everything was more perfect than any other restaurant I have ever experienced. I am recommending it to friends; The Ranch is worth going out of your way for. Visiting from Northern California. This place is exceptional. A fantastic steak place is always on my list for travel. Brian our waiter was knowledgeable, extremely attentive and a pleasure. Cocktails on point, my blue cheese olive dirty martini was one of the best. Cobb and wedge salads flavourful and fresh. We shared the 40 ounce Porterhouse with lobster Mac and the cauliflower special. Everything delicious and perfectly paired with a great Zinfandel from Amador County recommended by Brian. One of the best steak with experiences I've had. Highly recommended. Great restaurant with Great service and food. The prices are a bit high, but this is what you pay for the food and service you get. Make sure to visit the Saloon after dinner. the offer a good bar and live music. One of my new favorite restaurants! Great place, delicious food, nice atmosphere, and the service is superb! Wonderful place to have dinner and celebrate special occasions. 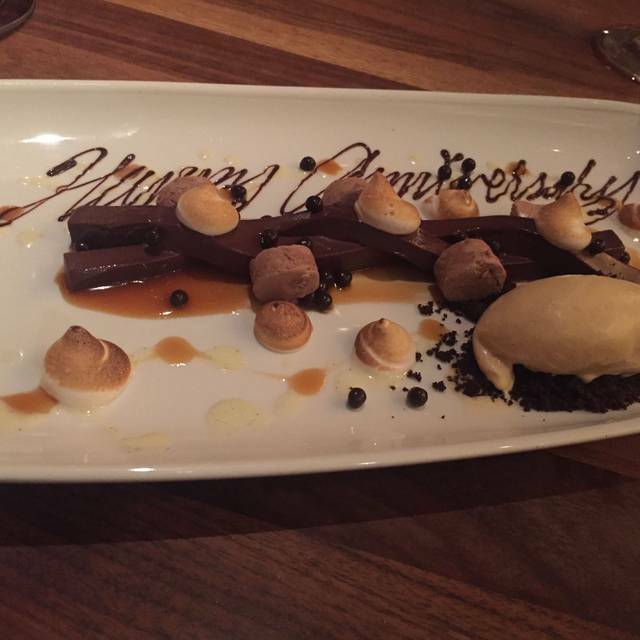 Restaurant, service, and food were above and beyond. Prices are a little high but worth it for high quality food for special occasions. Attentive waitstaff and flavorful food. Free dessert for birthday girl. Wow! Just wow! The best experience at a restaurant we’ve had. The porter house steak was phenomenal. Will come again. Top notch restaurant service and food. My co diner felt his steak was over done last time. This time he felt it was under cooked. He was looking for medium well. However the flavor and texture was very good. The soup and salad was so good and fresh. I could have been satisfied the just the sale and rolls. But that was before I tasted the halibut. It was amazing. I’d love to learn how to make it as perfectly cooked. It was fantastic. Moist flavorful and flaky inside crispy perfection on the outside. Loved it! One of the best steak restaurants I have been to. The chicken fried quail appetizer was superb. The porterhouse was amazing. The lamb chops were some of the best that I have eaten. I look forward to returning to Anaheim so I may eat at the ranch restaurant. Service was simply outstanding. 36 oz. Rib-Eye was tasty, but too fatty. Price is high if factoring in the bone and the fat. Will probably stick with the petit filet in the future. The ambience was really fun--wish the saloon would have been more lively the night we were there. Cocktails/wine and desserts were terrific! Great experience from the moment walking in to very happy belly toward the end. Despite the office-building physical appearance, this is a terrific restaurant in every way. Our server was exceptional and professional. Will definitely be back for the food and atmosphere. Cowboy ribeye was yummy and service was great. Happy birthday to my pops. We celebrated my husband’s birthday. Our server was delightful, the food perfectly timed and delicious. The only drawback was it was a little difficult to hear one another talking. But, that aside, we would go back again in a heartbeat! Best steaks in OC. Everything about The Ranch is fantastic! We always love The Ranch. Sat night, Mar 30th seemed to be a bit off. It took almost 20 min after seating to get a drink. Normally we're asked right away what we would like but not on this night. By the time the waiter came over we were irritated from waiting. We almost went to the bar ourselves. Anyway, finally got our drinks, then ordered our meal. Food was very good. I wish the service had been better, especially because it's The Ranch. We’ve loved The Ranch each time we’ve dined there, but this was an exceptionally nice experience. 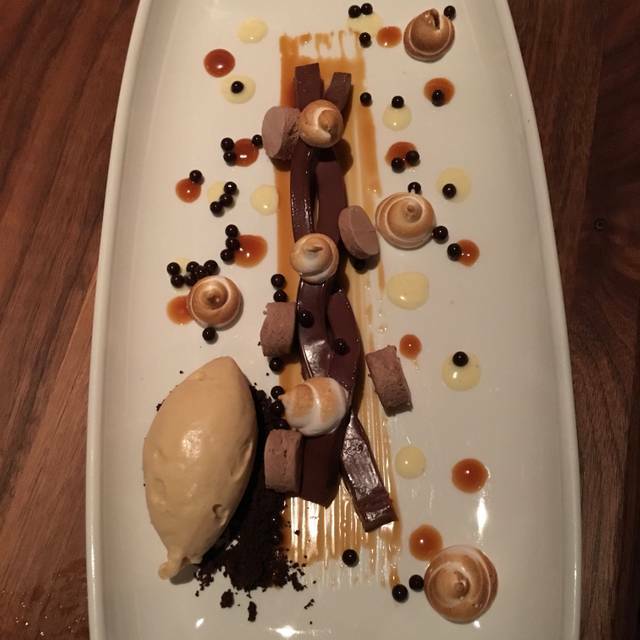 The food, as always, was exquisite, from the off-menu Delmonico to the Milky Way dessert. Our service always has been at an elite level at The Ranch, but this time managed to surpass the others. Every need not only was met but was anticipated, and the staff went above and beyond throughout the evening. We will return soon and continue to sing The Ranch’s praises. Fantastically delicious Beet Salad. Each bite a treasure of taste and texture. Creamy fennel soup was tasty. 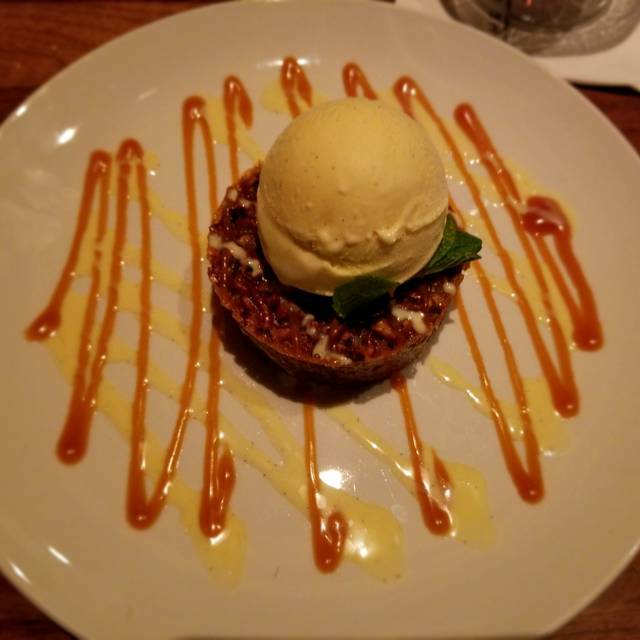 Pecan tart was the Best Ever. Easy to find and a great meal after a game at the Honda Center. Food and service were great as always. It was pretty noisy, could only hear about half of what the server said. However, it was busy and there were two fairly large parties nearby. Great way to celebrate my birthday!! The food and service were absolutely outstanding!!! We have been coming to the area for work conferences the past 6 years, The Ranch has been part of our trip these past 6 years. Always a great meal. Looking forward to next year already. This was our first visit to The Ranch after being told by many friends it was a "must dine" option. We couldn't agree more. Everything from the welcome, to the service, to the delicious craft/seasonal cocktails, to the warm service and delicious food far exceeded our expectations! We can't wait to return to try the other options on the farm-to-table menu! Although, the petite filet was just PERFECT so maybe not! want to relax, and take a deep breath - your Server should do the same....slow down !! Food was incredible and the service was top notch. The Ranch is a great place for an amazing meal. The experience is top notch from the time you walk in the door until you leave. Great service and knowledgeable waitstaff that can advise you on flavor profiles and matching wines, etc. Chef usually has several off-menu choices to keep the experience fresh for returning guests. 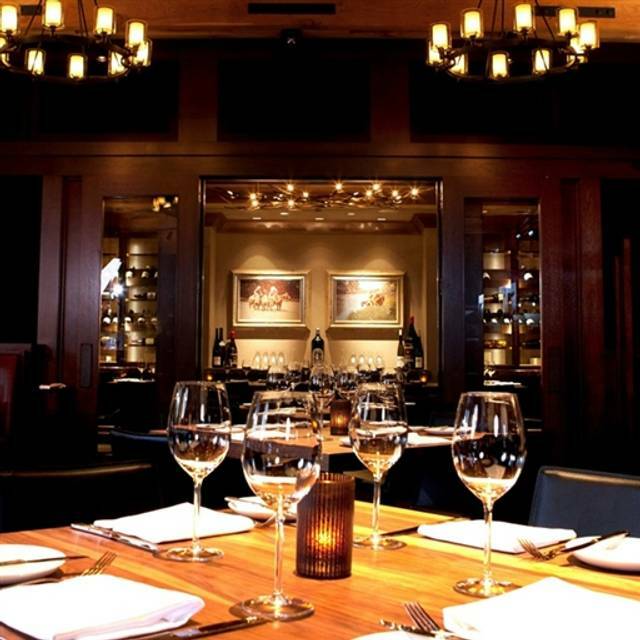 Don't waste your time at places like Mortons or McCormick and Schmicks. 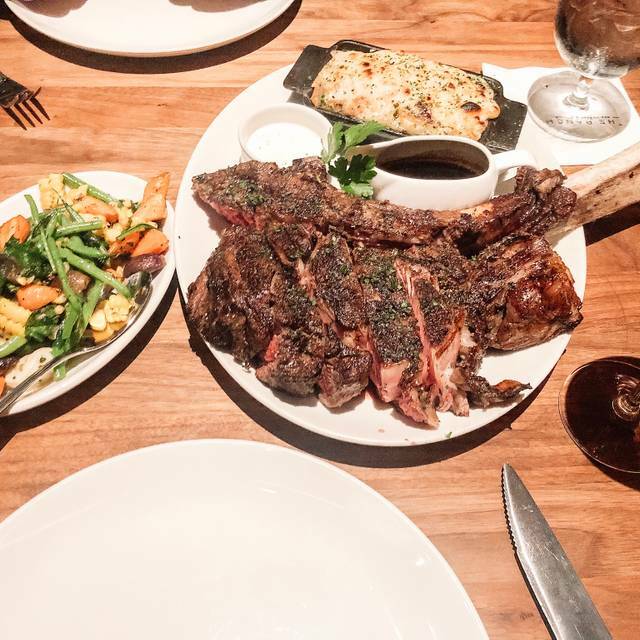 This is the place to go for steaks in Northern Orange County. The staff was amazing and very attentive to every request we made. I highly recommend this restaurant for any special occasion or if you just want to have a sumptuous meal. Thank you Ranch! Very pricy, but the food and ambience were fabulous. What a beautiful restaurant. We have been so eager to dine at the restaurant. Food was very good. We felt that the steaks were a little disappointing. For the reputation, anticipation and price, it was a little disappointing. We seem to enjoy simpler steaks and sauces more at our favorite restaurants. The side dishes seemed a little too rich. The base vegetables were so tasty that they didn't need such rich sauces. The corn, the potatoes were so very tasty. I have to say, the quail we started with was AMAZINGLY! Service was great! Cowboy rib eye ! Don’t look at anything else!! Don’t doubt it, don’t think about it! You will not be disappointed! Food is amazing the service is a very close second ! Server was super attentive. Food was great! Got the ribeye, and shared with my dad. The crust on the steak was perfect. First time here on the recommendations of good friends. We'll be back for sure! 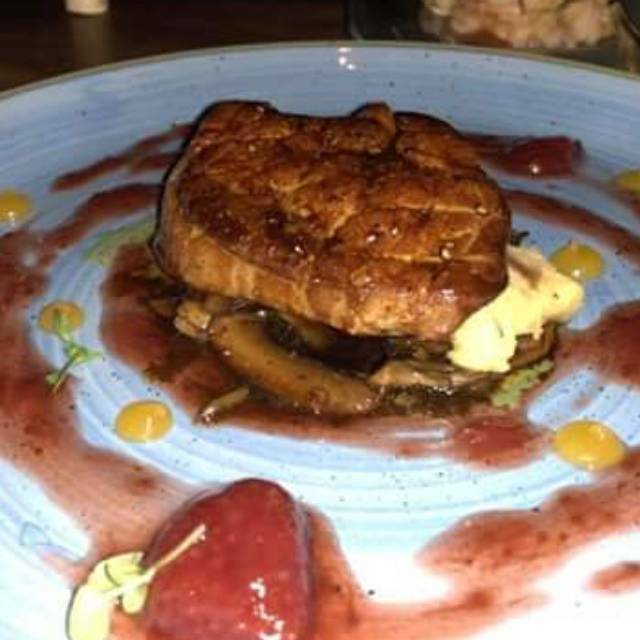 Food was fantastic, service was excellent! And the special treats from the chef...amazing.